Rite Rate is a dedicated plumbing, heating, and air conditioning company in Livingston, NJ. We believe that your home or business should run smoothly. After all, a properly working house or office leads to a more pleasant and stress-free life. With Rite Rate, we will strive to have your HVAC and plumbing always working top notch. While some companies will leave you waiting for days, our company offers a 24-hour emergency repair service. When things are not working properly, our company is there to help you out. Our emergency services will ease your stress and get your plumbing and HVAC system back to working the way that it should be. Whether it's an air conditioner installation or a drain that needs fixing, we are there for you. We guarantee that you will be satisfied with the results of our plumbing, air conditioning, and heating repair in Livingston, NJ. Contact us today for a free estimate! Your residential or commercial heating system is comprised of a hot water heater and a boiler or furnace. When these undergo rigorous wear and tear they will eventually need to be fixed. 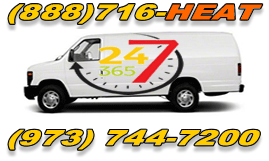 Our heating company can provide 24/7 emergency heating repair in Livingston, NJ. Our licensed contractors are experts on all makes and models of tank water heaters, tankless water heaters, furnaces, and boilers. We’ll be able to repair anything that isn’t working as well as replace any broken pilot, burner, fan, valve, or blower to name a few. We also offer affordable heating installation and maintenance services for your home or business. 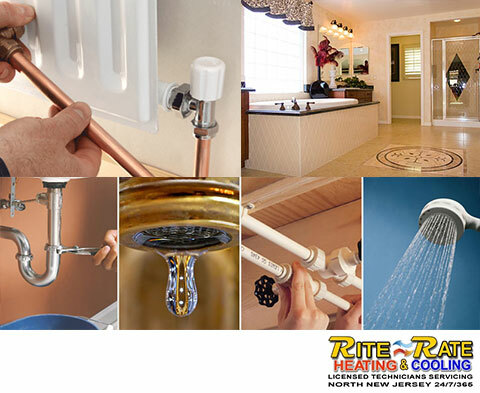 Rite Rate takes into account your budget and size of your location before installing any heater or hot water heater. We’ll also make sure your heating system is working efficiently all year long! Do you need a new air conditioner installed in your office building or house? Is your current central AC broken and not blowing cold air? Contact Rite Rate, the trusted air conditioning company in Livingston, NJ! We offer affordable air conditioning installations, repairs, and replacements. No matter what time of day it is, you can reach us 24/7 for emergency repairs on any commercial or residential air conditioner. We service heat pumps, central AC, ductless air conditioners, packaged air, forced air, and much more. When you call us for an installation, our contractors will assist you in choosing the best air conditioner that fits your budget and is appropriate for the size of your location. In addition, our maintenance services will help ensure your central heating and cooling system is working properly and is more efficient. Rite Rate is considered the leading plumbing company in the area because we offer 24/7 repairs and guarantee customer satisfaction. It can be anything from a leaking faucet to a frozen pipe, and our plumbers can fix the problem. We’ll repair, replace, and install any sink, bathtub, toilet, shower, sink, drain, and sump pump. There’s no clog or leak that’s beyond our plumber's capability. If you need sewer and drain cleaning or flood assistance, we're here for you. Call Rite Rate today for affordable and quality plumbing services!